Applying pressure to the skis is what causes them to bend and turn and is responsible for great skiing. Avoiding pressure for the most part, on the other hand is one trait of expert skiing. The simplest way to apply pressure to a ski is to simply stand on it, but pressure is not a movement, although you do need to use the muscles to either resist the forces that can create pressure or stabilize the joints that allow the skeleton to resist the forces. 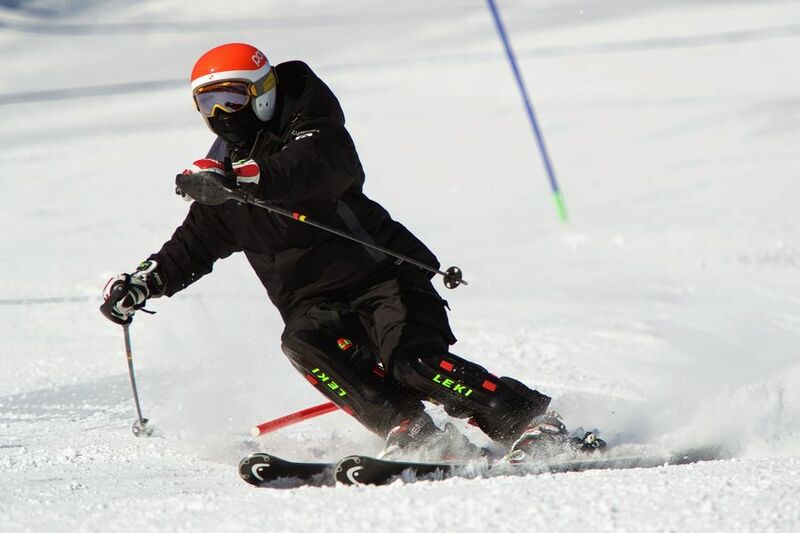 Pressure can be observed as well, in the form of ski bending or the snow being sprayed by the ski (either while skidding or carving and displacing snow). While standing centred on a cambered ski - the camber will distribute pressure along the ski, that is its function. Some of the factors that can influence this distribution are:.. Skis need more pressure on the tips at the beginning of the turn, to start a carve (modern sidecut skis don't require excessive pressure on the tips - they are designed for a more centred stance). Then, later in the turn, pressure in the middle of the ski as the pressure itself increases, in the Sweet spot is great for a good flex response from the particular ski. Finally, at the end of the turn, many skis provide acceleration from the stiff tails, so some aft pressure develops - mitigated in part by the floating of an unweighted skis through transition, common in high performance turns. While many focus on pressure management, we see pressure as just one artifact, something between the movements that a skier makes, the input and the outcomes (carving, turning, skidding, oversteering etc). The "canonical" mechanisms for creating and regulating pressure are flexing and extending of the legs, but that's a very simplistic view - see the list of factors involved in pressure control at the beginning of this page. Also, many have an approach that involves "creating pressure" i.e. pushing into the skis actively, in a variety of situations. As mentioned above, at the expert levels, skiers struggle to avoid pressure and never strive to artificially create it by pushing into the ski. Member-only content avilable (263 words). This really depends on many factors. A green slope relaxed skier only uses the weight. At higher performance levels, things get (much) more dynamic, although contrary to popular opinion perhaps, high performance skiing is more about avoiding pressure than creating it. 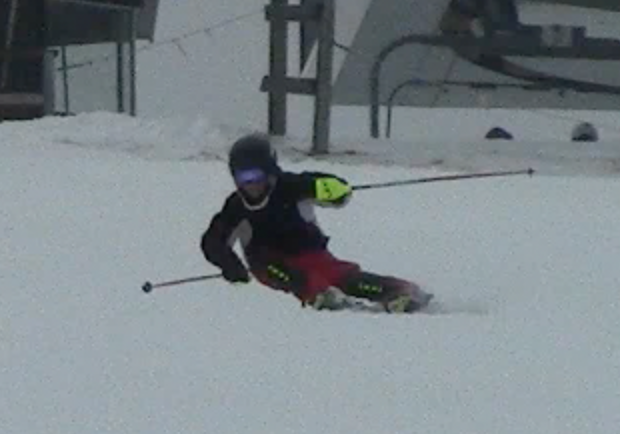 Also, a carving ski can support more pressure than a skidding ski and hard snow can support more than soft snow etc. Viewed 1640 times ( | Print ) this page.